BlueHanded create exclusively designed, fabric patterns made by artisans employing techniques passed down through generations, over many centuries. 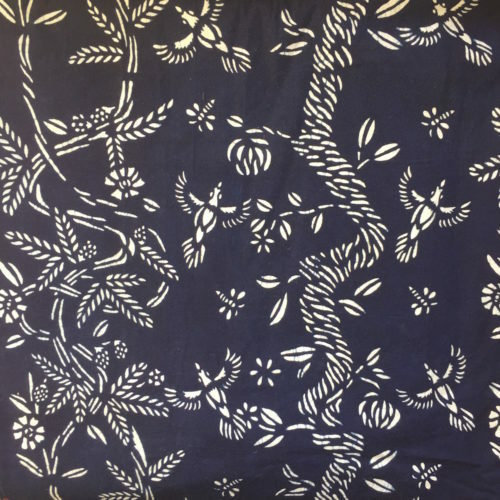 Using the ancient resist printing method, we work in exclusive collaboration with our indigo Masters to develop each collection. Working with London-based artists, specially selected for their artistic endeavour and signature style, our fabrics uniquely reinterpret and revere the age-old art of indigo. Create a striking scheme by combining fabrics, or savour individual prints as feature accents; for window treatments, home furnishings, upholstery and accessories. 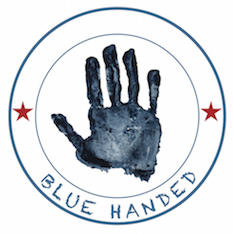 Whatever your choice, BlueHanded is a timeless collection to enjoy today and treasure for tomorrow. COFFEE TEA OR ME Contemporary flora & fauna pattern 100% natural cotton fabric. Sold by the metre. One full roll is 7.5m long by 82cm wide. 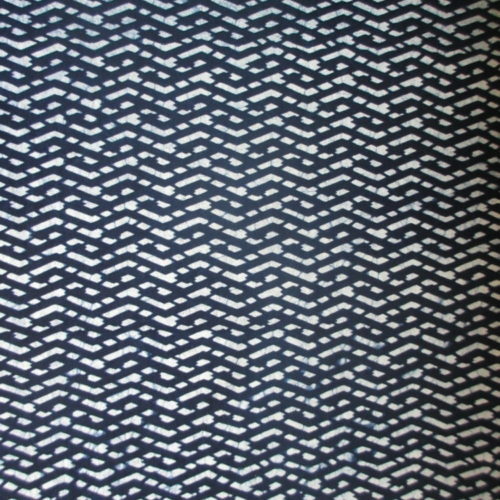 Pattern 80cm wide. 225 g/m2 Deep rich blue and white print using an authentic natural hand dyed indigo using resist paste technique. The Real Deal. the positive and negative that makes connections with those we love both joyful and challenging. physical and emotional side of shared lives. 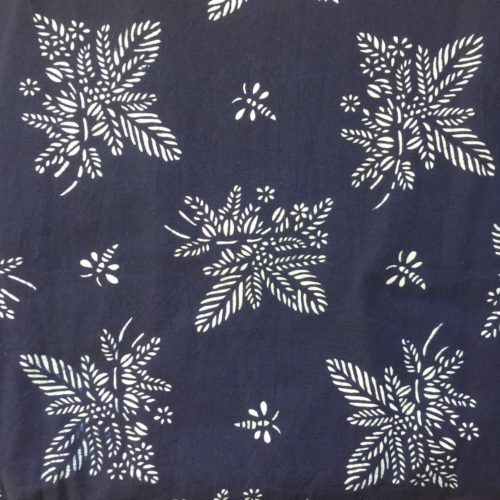 Artist Alex McKenzie pattern design Birds & Bees Natural Indigo fabric for the home Contemporary flora & fauna pattern 100% natural cotton fabric. Geometric Pattern 026 Coordinates Collection 'Lattice' Contemporary circular geometric pattern 100% natural cotton fabric. Sold by the metre. One full roll is 7.5m long by 106cm wide. Pattern 100cm wide. 225 g/m2Deep rich blue and white print using an authentic natural hand dyed indigo using resist paste technique. The Real Deal. BlueHanded co-ordinates provides a range of prints that can be used on their own, together, or as an accent to our artist-designed collections. 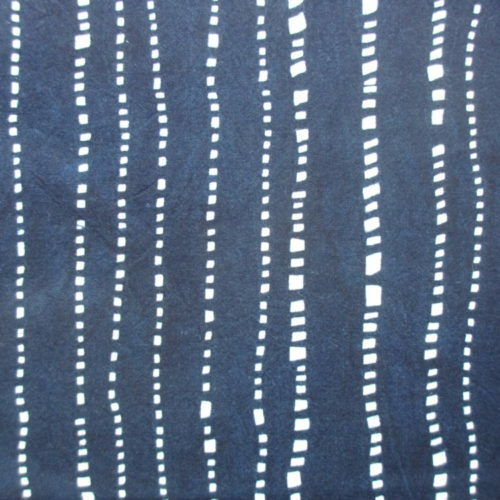 Curated by John Abbate, BlueHanded’s founder, these prints have been chosen for their versatility and rhythmical simplicity. Lattice lines is a geometric print that is at once both modern and traditional, eastern and western. The lines weaving together in a lattice format reflects the lattice-work that is so predominant in eastern furnishings and decorative arts both, historically and today. The diamond shaping through the peaks and troughs of inter-woven lines is reminiscent of art-deco styling which creates a beautiful, fresh feel to the design. Create a striking scheme by combining fabrics, or savour individual prints as feature accents; for window treatments, home furnishings, upholstery and accessories. Geometric Pattern 034 Coordinates Collection 'Wonky Lines' Contemporary circular geometric pattern 100% natural cotton fabric. BlueHanded co-ordinates provides a range of prints that can be used on their own, together, or as an accent to our artist-designed collections. Curated by John Abbate, BlueHanded’s founder, these prints have been chosen for their versatility and rhythmical simplicity. Wonky lines follows in the convention of prints symbolising life-giving, but can also be seen as an extension of the idea of the flow of life - rain water dripping down a glass pane, traffic crawling along the streets of London at rush hour, or mammals migrating through the dessert. Create a striking scheme by combining fabrics, or savour individual prints as feature accents; for window treatments, home furnishings, upholstery and accessories. 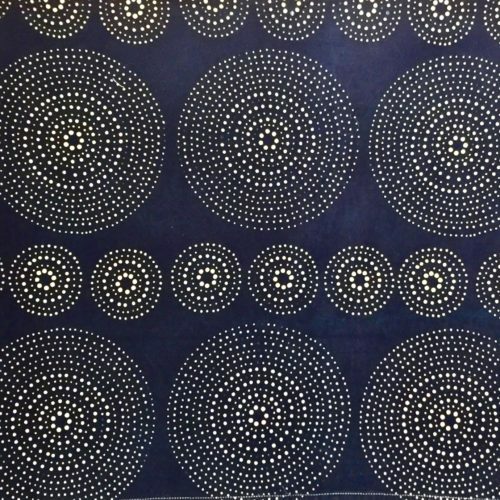 Contemporary circular geometric pattern 100% natural cotton fabric. Sold by the metre. One full roll is 7.5m long by 106cm wide. Pattern 100cm wide. 225 g/m2 Deep rich blue and white print using an authentic natural hand dyed indigo using resist paste technique. The Real Deal. Twelve is a grid-based pattern inspired by the element of water. In a truly east meets west design.